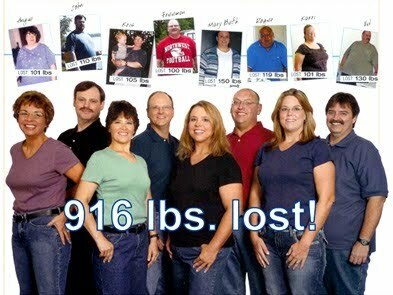 Weight-Loss competitions.in total, they were able to lose 916 lbs! We Challenge YOU to be our Next Winner! It's a Fact: Everything is BIGGER in TEXAS. Did you know that Texas is so Big that we are the only state to have a Metroplex? Within the DFW Metroplex, we have the Dallas Cowboys with the biggest stadium to date, the Dallas Stars, the Dallas Mavericks, the Texas Rangers, and the Texas Motor Speedway. Of course, we also have Big Trucks, Big Dogs, Big Lotto, Big Attitudes, Bigger Egos, and unfortunately, we also have Big Bodies! Texans are also very Lucky!! You have the chance to become the Next BIG Weight Loss Star and put Big Money in your pocket! This contest is based on the percentage of body weight lost. Cash prizes will be awarded to the top 3 BIGGEST LOSERS. The 12-week program advises proper nutrition, healthy food choices, and encourages exercise. Twenty-four to forty-eight hours prior to the first class, you will need to come in to register and complete the weigh-in process. Registration will only take a few minutes, and we will go over what to expect the first day of class. Each week you'll be required to complete any materials from the previous week. To keep you on track, your Personal Wellness Coach will be available to go over various aspects of your plan, including meal planning, drinks, snacks, and exercise, as well as, protein, calorie and water intake. We have several challenges running at the same time on various days and times. We are always accepting new registrations and creating new challenges as needed to accommodate the high demand we are experiencing.. If you don't see a challenge that fits your schedule, please contact us and we can see about getting a new challenge going that will fit your busy schedule. Weekly Prizes, Fun, and best of all... Results!